Wide Range of Solutions to Fit Your Storage Needs. Your prized possessions are protected 24/7 with a state-of-the-art perimeter security system made by the Tattletale Portable Alarm System. The Tattletale Portable Alarm System is a revolutionary wireless sensor and alarm system designed for maximum security. It stays alert and on guard 24 hours a day, with and without power. This allows you to rest easy knowing your belongings are safe and secure in our storage units. 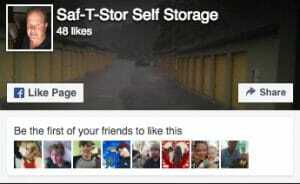 One of the biggest advantages of opting for a storage unit, especially one at Saf-T-Stor in Raleigh, NC, is the security it offers. Being the authorized dealers for the Tattletale Portable Alarm System, the Saf-T-Stor offers state of the art security for all your valuables. Each storage unit it’s protected with a wireless sensor and alarm system that ensures maximum security for all its patrons. The security system is routinely inspected to make sure they are functioning correctly. We offer a wide range of storage solutions. Whether you are looking for a temporary storage unit for the summer, or possibly a more permanent solution to store things year round. We also offer the option to operate a small business. Our flexible options guarantee that we have the right fit for everyone.